The Law of the Constitution elucidates the guiding principles of the modern constitution of England: the legislative sovereignty of Parliament, the rule of law, and the binding force of unwritten conventions. 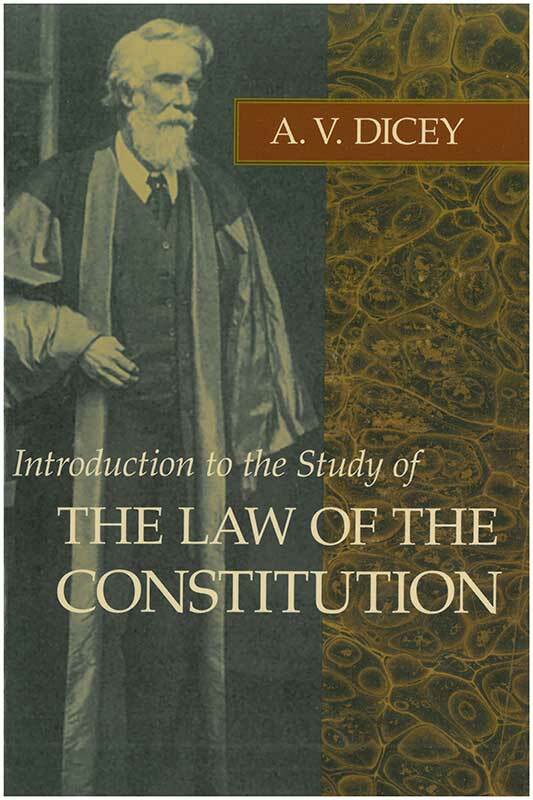 A. V. Dicey (1835–1922) was an English jurist, Vinerian Professor of English Law at Oxford University, and author of, among other works, The Law of the Constitution. Please note: This title is available as an ebook for purchase on Amazon, Barnes and Noble, and iTunes. Foreword, preface to the first and eighth editions, analysis of introduction, introduction to the eighth edition, appendix, index.